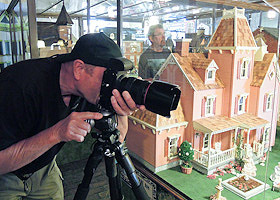 Bill Fortney brought his Nikon workshop to the Dollhouse Museum. 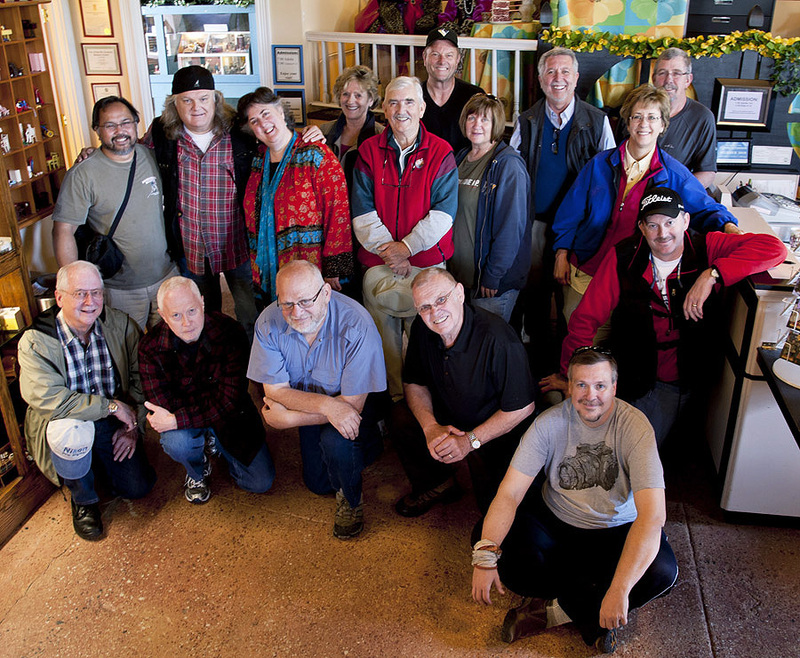 With Bill came country and bluegrass star Ricky Skaggs, seen here in the back row, 2nd from left, with Curator Lori-Kagan-Moore. 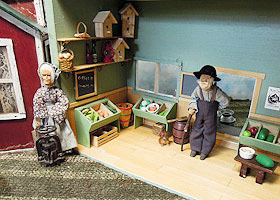 The group spent many enjoyable hours working with the various displays. Below you can see examples of their work from that day as well as photos of the group at work. 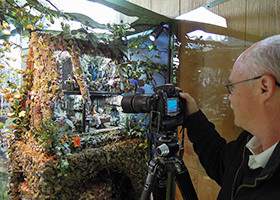 If you have a photo group of your own, consider a workshop at the Museum! Learn more about Bill Fortney at his inspiring website. 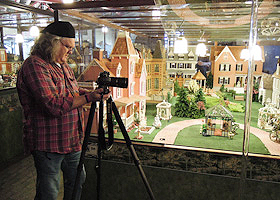 Ricky Skaggs watches as a photographer sets up to shoot a mansion neighborhood. 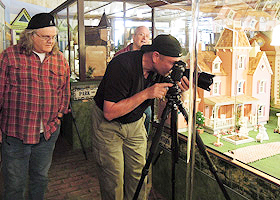 Shooting miniatures is not easy. It is much more difficult to get everything in focus with tiny subjects. The very popular Poppy's Cottage is also a good challenge for photographers. Pondering the best way to shoot the village. Multiple shooters share the view. Getting the right angle on this display requires getting way down with it. 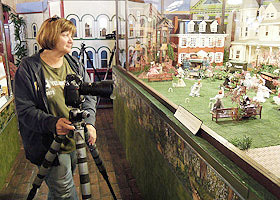 An example of an exhibit photo by the workshop. Susan Sharenberg's take on Gregory, the naughty boy, painting the cat. 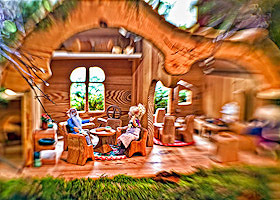 Special effects add style to this image of a house in the Fantasy Forest. 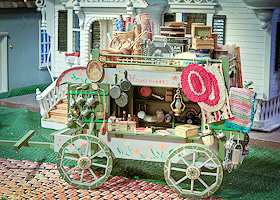 Photo by Ricky Skaggs of a housewares wagon. 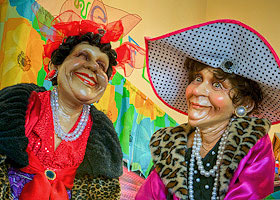 These two almost life-size ladies in the Gift Shop were a great subject for Ricky.